The best on the market! 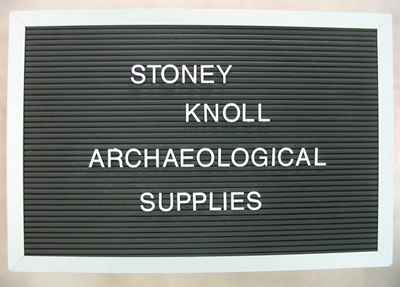 Custom made for us, right here in the northeast, to meet the specific needs of field archaeologists and forensic investigators. 12" high x 18" wide, black, non-reflective board with satin aluminum frame. Includes 300 piece, presorted, 3/4" white Helvetica letter and symbol assortment.